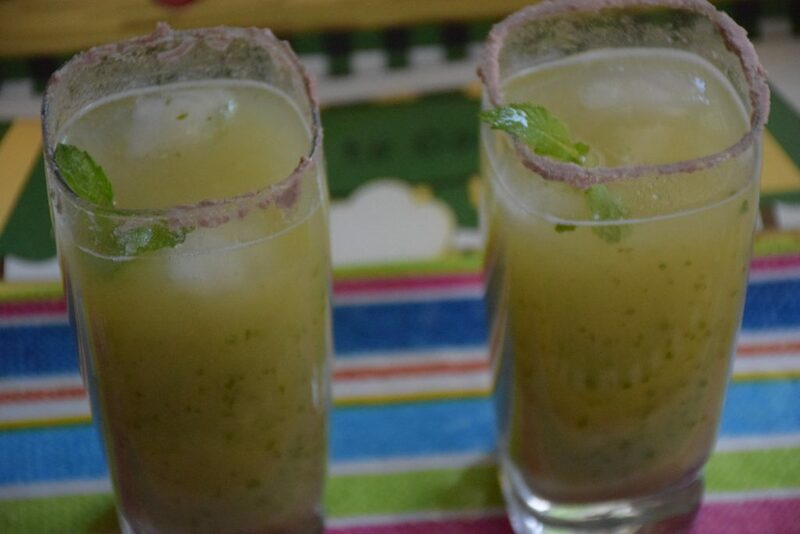 Aam Panna or ‘Raw mango’s drink’ is a famous Indian drink which helps in resisting heat during summers. In our homes, it is usually served with “Pulav or Tahri” and is relished by kids and elderly alike. I have fond memories of having it in my childhood. There are different ways of making this drink. 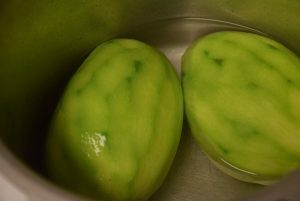 By our conventional method, we boil the raw mangoes,extract their pulp ,grind it, mix it with other ingredients and water. Another way is to roast them on charcoal or flame for smoky flavor and then follow the same sequence. I am going to share the simplest way here. My personal advice is to make it fresh every time rather than making a concentrate and keeping it for future. But if you wish, you can make a concentrated solution and use it for a week. 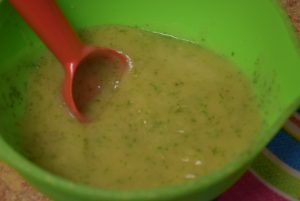 The following recipe would help you through. 1. 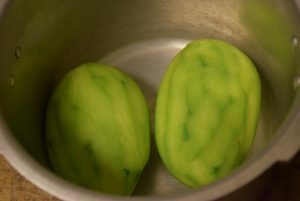 Wash and peel the mangoes and cut their top eye or the part attached to the stick. Fill water in the cooker up-to the level in which they are soaked to the top surface. Boil them until you get two whistles. 2. Lower the heat after 1st whistle and turn off the heat after the 2nd whistle. Once the pressure is released , open the cooker and strain the boiled mangoes through a colander or sieve in a bowl. 3. 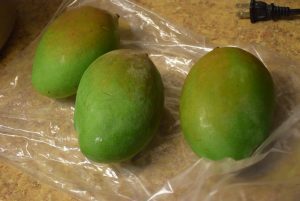 Cool the mangoes to the room temperature. 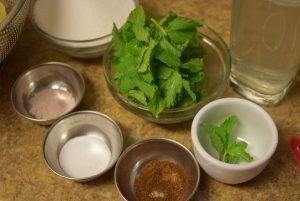 In the meanwhile ,wash and pat dry the mint leaves. Separate the leaves from the stems. Save some sprigs for garnishing at the end. 4. Roast the cumin seeds(jeera) on griddle (tawa) for 2 to 3 mins ,until they change color and release aroma. Crush them in dry jar or in mortar-pestle and keep aside. 5. Once the mangoes are cooled, mash them with hands to separate their seeds and pulp. 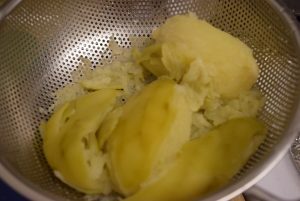 Throw away the seeds and add the pulp in a food processor or chopper . 6. 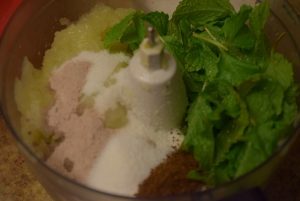 Add the mint leaves, black salt, sugar (70%) , common salt and roasted cumin powder too in the food processor. 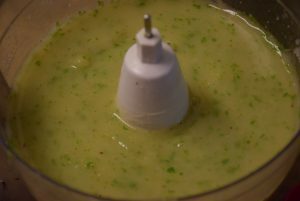 grind everything together to make a thick paste. 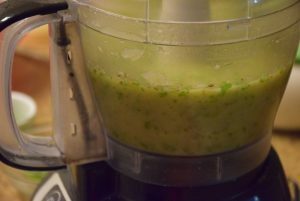 Add the saved water in food processor to adjust the consistency.Test the sugar level and add more if needed. 7. 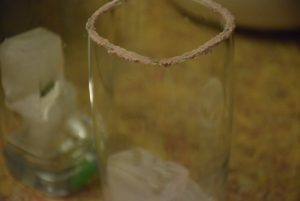 For serving, dip the serving glasses’ rim in water and then rotate the rim in a plate containing black salt. 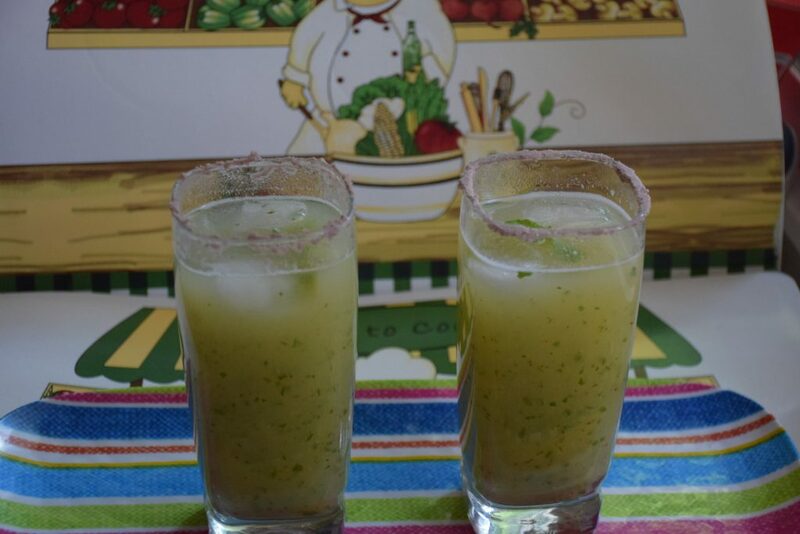 8.Then drop 2-3 ice cubes in the glass, add 3 tbsp or panna pulp or half fill the glass with pulp. 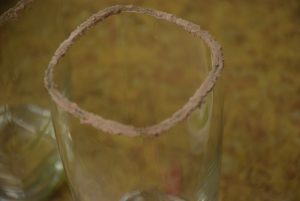 Then add water right in the center of the glass without touching the rim of the glass. 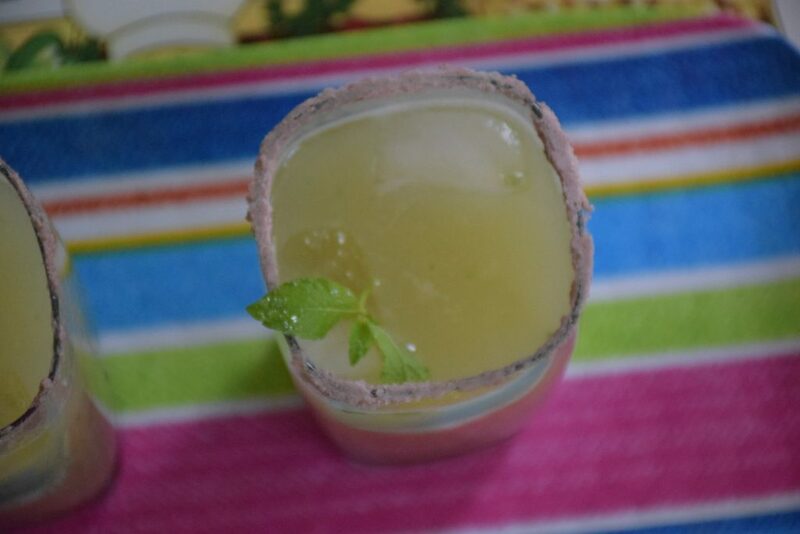 Garnish with a sprig of mint. Serve chilled. You may save the panna for 2 to 3 days in refrigerator and enjoy it in scorching heat. 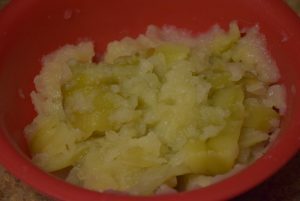 Similarly you can preserve the puree for a week in refrigerator. 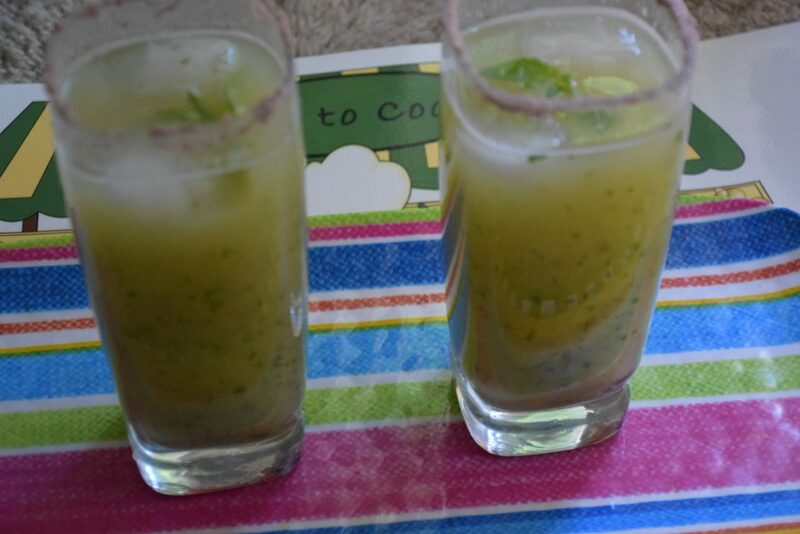 Just add the needed quantity in glasses while serving with water and ice cubes. Refreshing drink is ready in seconds. Thank you for reading this post. Share your views and suggestions in the comments section below !! 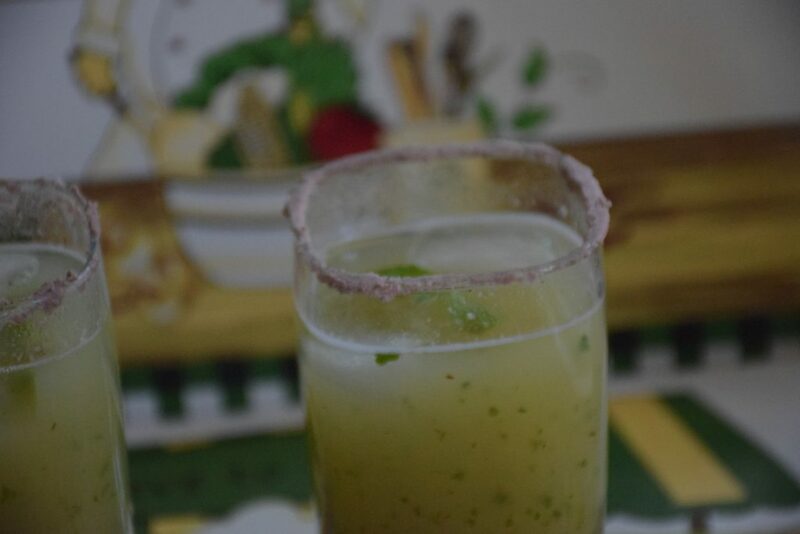 This entry was posted in Drinks, Food, Recipes and tagged Aam panna, ambi, ambiyan, bhuna jeera, black salt, Carenshare, cool, cuts the scorching heat, heat-resistant quality, intense heat, kachcha aam, kairi, kala namak, kerry, pulao, pulav, raw mango, relished with Tari, roasted cumin powder, shweta jindal, soothing effect, summer's drink, tahri, zindagisikhati.